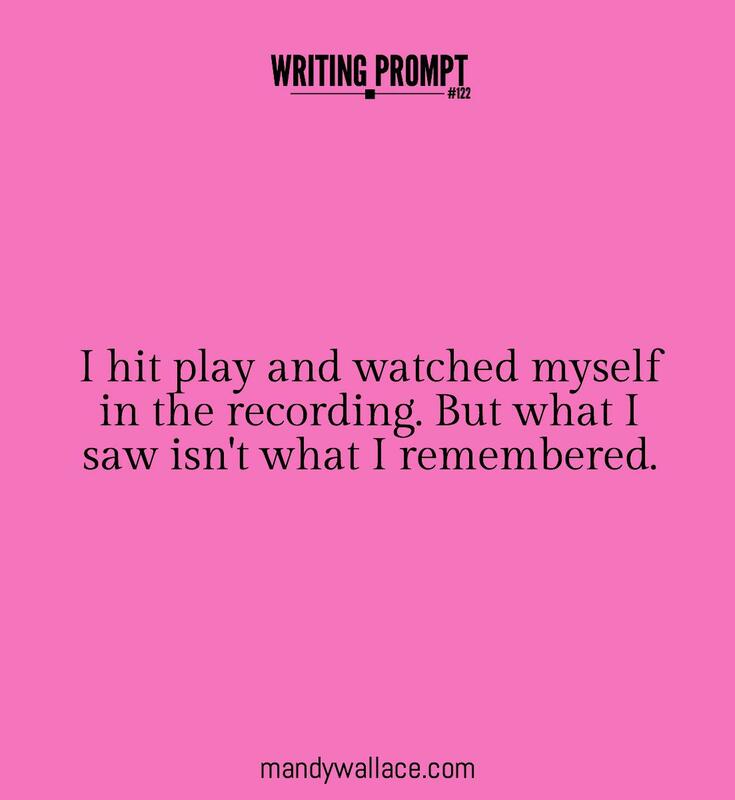 Writing Prompt #122: Memory Lapse? I hit play and watched myself in the recording. But what I saw isn’t what I remembered. Consider the prompt for five minutes. Who is speaking? What is the recording of? What exactly is different between the character’s memory of the events versus the recorded events? What happens next? Write without rules for fifteen minutes. Write down whatever occurs to you without questioning it or where it will take you. I really liked your prompts. I enjoyed your writing prompts vrry much and they do really help.